Those Pokemon screenshots on your Facebook feed... what are they all about? The new app Pokemon GO has begun to take over social media - and 'Pokefans' everywhere have taken to the streets to find their favourite pocket monsters. Yes. 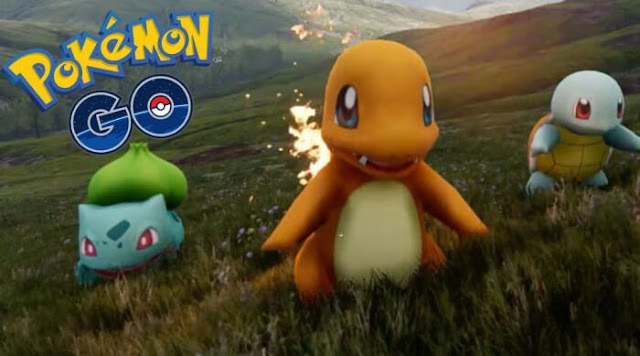 Launching in Australia on Wednesday, it's a joint venture between The Pokemon Company, Nintendo and app developer Niantic Labs. Pokemon GO differs from the usual handheld Pokemon video games by focusing less on battles and more on moving around in the real world to find creatures and claim territory. That's why you're seeing screenshots of Pokemons on people's photos, you see. Using GPS and internet services, Pokemon GO turns the whole world into a Pokemon region map and, just like in the traditional games, different Pokemon live in different places.